Lineup—For a team that appears to be going nowhere, the Mariners have done a nice job of building out a solid foundation for their offense. While I can’t say I agree with the trade which brought them Montero, if he is able to provide what they expect, he will fit in nicely into this lineup for a long time with the likes of Dustin Ackley and Justin Smoak. Bo Ryan at SS is light hitting, but he provides stability with the middle of the infield and leadership. Chone Figgins has been a horrible signing thus far, and honestly I think every Mariner fan would agree if they can get a few good months and ship him out of town that would be best. Ichiro still proves year in and year out he is one of the best hitters in the game, but this year batting 3rd is going to be a change for him. Can he drive in runs, that is yet to be determined? While this is a good mix of young and old, I just don’t think it is the right mix of it. But in the AL West they should be able to produce some runs. 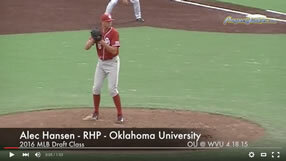 Pitching—I will look at this pitching staff 2 different ways. With Felix Hernandez as the anchor of the staff you know that in 20% of your games you have a really good chance of winning. Unfortunately the last few years they have not been able to put up runs for him, so hopefully this changes. Honestly, for the sake of baseball I hope Felix gets out of town, as the rest of the country deserved to see what a guy like this can do on a big stage. But if I am the Mariners, no chance I deal him. He is truly one of the best. Now take a look at this staff without him, and you see a team that is in trouble. Jason Vargas is a good pitcher, but not a #2, and if they are truly counting on Kevin Millwood someone needs to check the clocks at Safeco to make sure they realize it is 2012, not 2002. Their bullpen isn’t much better. Brandon League will get some saves, as they will win some close games, but the rest of the pen is made up of guys who I don’t expect to be able to get outs. All in all, I see this staff being able to go 25-10 when Felix pitches and 40-85 when he doesn’t. Outlook—Last year when I wrote up this preview I had an angry Mariner’s fan upset that I didn’t think their rotation could support Felix. I was right. Here is my problem with this team. They have no direction in my mind. Go young or go veteran, but make a decision. You have a pretty solid young nucleus, but what message are you sending by trading away a young starter? Granted you got a very good prospect, but you can’t win without pitching. To me, the move I would have made would have been to trade Felix for a king’s ransom and build with the players in place and Pineda. Look at what other teams got for young pitching; you don’t think they could have gotten much more for Felix. But hey, if they are content with the cellar of the AL West, who am I to argue.